Hello, 365 Data Science followers. Our friends at the Data Science Society have asked us to share this information about their next datathon – Hack the news. It looks super interesting and will surely make a difference to media around the world. So, check out their article below if you want to get involved or are just curious. Data Science Society is a global community gathering data scientists and enthusiasts from all over the world and applying the expertise of the community members for solving social problems. So far, with the help of over 1800 experts, Data Science Society has built methods to predict air pollution in urban areas and detect fake news in media, using data science, machine learning, text mining, NLP and many more. The idea behind those causes is that all social problems can be tackled through social engagement and combined efforts in the right direction. The next cause in Data Science Society also targets news contents, but this time it goes further in the field of news manipulation, also known as propaganda, and aims at building algorithms to detect manipulative articles used to skew society’s perception of information. With the ever-growing power of social media in our daily lives, we all witness the mass-sharing of fake news. With time society has learned to detect and avoid obviously untrustworthy articles, but it’s a common thing to fall victim to obscured manipulation and has the power to change how society thinks and acts. A recent example is the Brexit movement in the UK which apart from tons of funny jokes on the Internet brought to light on the power news manipulation can have on collective decisions. The methods that Data Science Society will use in their fight against propaganda will focus on using data science to build algorithms to ‘scan’ large amounts of text data and apply predefined criteria to detect news articles that use manipulation to alter society’s views and understanding. 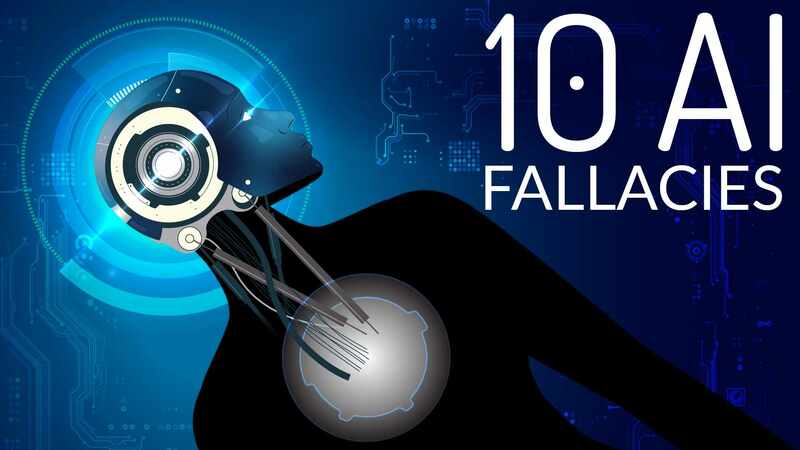 Over 200 participants from all over the world are expected to take part in this endeavor and form teams to find different solutions that can later be modelled into tools to be used by all of us. 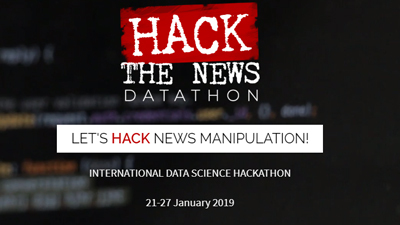 The final results will be presented during the Data Science Society Hack the News datathon which will take place in the period 21-27th of January 2019. The datathon is in partnership with Qatar Computing Research Institute (QCRI) and will gather advisors from some of the biggest universities in the world – Max-Planck Institute for informatics, University of Michigan, University of Sheffield, University of California, Santa Barbara, University of British Columbia, University of Texas Arlington, as well as representatives from Massachusetts Institute of Technology. Locally, Data Science Society is working with Ontotext and A Data Pro for the data needed to test the solutions. The awards for the best solutions are going to be crowdfunded as the Data Science Society believes that social engagement is key to sustainable problem-solving. The event is open for the global community and the online tickets are free with mandatory registration on the page of the event.